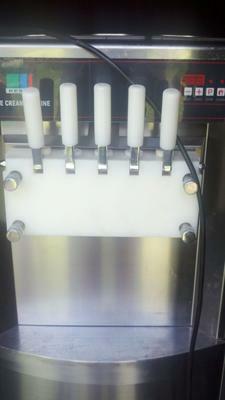 8/5/12 - This machine has 5 flavors, is hardly used and is 2800 watts/220 volts. Will take $2,000 OBO. Please contact Loretta: 321-474-0607. Join in and write your own page! It's easy to do. How? Simply click here to return to Ice Cream Machines.